You know how powerful the forces of nature are amid a storm? When that sudden sound of thunder with a terrible noise surprises us and transports us to a feeling of awe and wonder. When the Event Flash is upon us it will be sudden, unexpected and everyone on this planet will experience it simultaneously. If we are asleep we will no doubt awaken with a knowing that something very unusual is taking place. Initially people will be confused and frightened and indeed the shock of it all will be too much for some souls and they will die and directly be lovingly taken care of by Angelic Beings on the other side. Divine Mother, while recently discussing the transition that we know as death and referring to the many souls leaving the planet surface in the weeks and months approaching The Event, at the time of The Event and for a time after The Event makes it clear that every soul leaving their bodies are lovingly taken care of. On the day of The Event the veil will be completely collapsed and no evil will continue to exist on the plasma, astral and etheric planes. This will also be the beginning of a very quick demise of evil on the surface of Gaia because the foundation of evil – the veil – will no longer exist. The truth of the matter according to the RM Light Forces is that we have had (dissolving now) an enormous entity composed of anomalous plasma not only encircling this planet entirely but also having its tentacles stretching out into our solar system. The average person when told this information would say something like “what a load of nonsense – tell me another story”. However, there are scientific articles that show proof of this living entity. Here some earlier details from Cobra about the ‘living entity’ that is the octopus shaped plasma accretion vortex around earth that has been virtually sucking the life out of all of us and has been referred to as Yaldabaoth in Gnostic teachings. 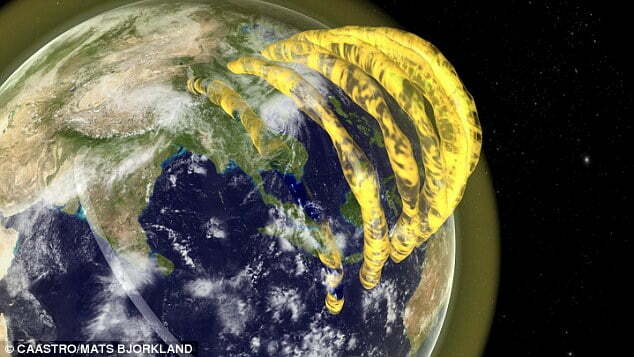 TZ here; I strongly urge you to see this video link of the giant plasma tubes around earth which is available thanks to the work of a very bright female astronomer from Australia. The removal of the black stone will tip the cosmic equilibrium and the current metastable state of false vacuum will cease to exist…. What Is The Event Flash and Where Does It Come From? Now we have a little more details that Cobra has provided in a recent Goldfish report interview. We already know that this ‘Flash’ – ‘Wave’ – ‘Pulse’ will be coming from the Galactic Central Sun. I will begin by giving an update from about 2 years ago that gives details about the GCS and indeed some links with more details about the Yaldabaoth entity. ………………….But the main aspect of this Galactic pulse will be a wave of cosmic Love. 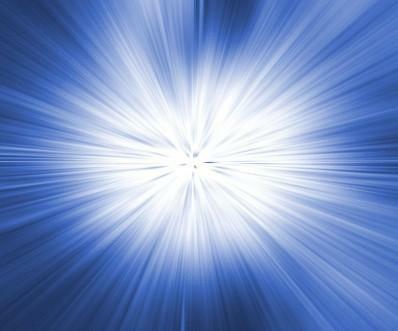 This Love energy is the basis of universal cosmic reality and is now reaching our shores. This energy has Galactic proportions and can not be stopped by the Cabal, no matter what they try to do. So in the recent Goldfish interview with Kauilapele and Cobra KP asked C the following question. He had recently been to a lecture with David Wilcock. KP: Is The Event equivalent to what DW says that there is going to be a Solar Flash of some type? Would that be the same thing? 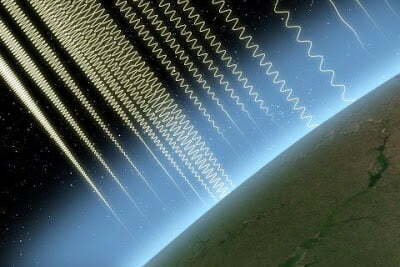 Cobra: The Solar Flash is one sub aspect of the Galactic superwave. So the Sun gets activated when the GCS gets activated. When the GCS gets activated it activates our physical Sun – those combined activate planet earth. It’s a very strong wave of energy – not just physical – not just energetics – there is a certain strong wave that reaches the planet and that will be the end of darkness. That will trigger the mass arrests – that will trigger the financial reset – that will trigger disclosure (i.e. FULL disclosure). So it’s part of the same process. TZ here again –I would just like to give a reminder here to our newer readers that on the Day of The Event we will have the true beginning of the time of Ascension on Gaia. There are some details about this in the article on the first page of Veritas that is linked above. Recently during the (100th!) Goldfish interview beautiful Louise questioned Cobra on the fact that disclosure seems to be coming out so slowly in ‘dribs and drabs’ and wondered if it would continue like this if I recall her words correctly. This was what Cobra replied. At this point Kauilapele says laughingly “that’s the kind of virus that I like” and I’m sure everyone will agree with him fully on that. For a couple of weeks prior to The Event we can probably / certainly expect a number of unexpected developments most likely mainly concentrated in the United States. Cobra has suggested that we would know that The Event is not so far away when these developments started to speed up. As I write these words I am reminded of some details from a recent update July 7th on The Portal. When these developments speed up they will certainly frighten people. But these events will not last many days and when they are over there will be an enormous sense of relief. Then the many Events that Comprise The Event will begin. 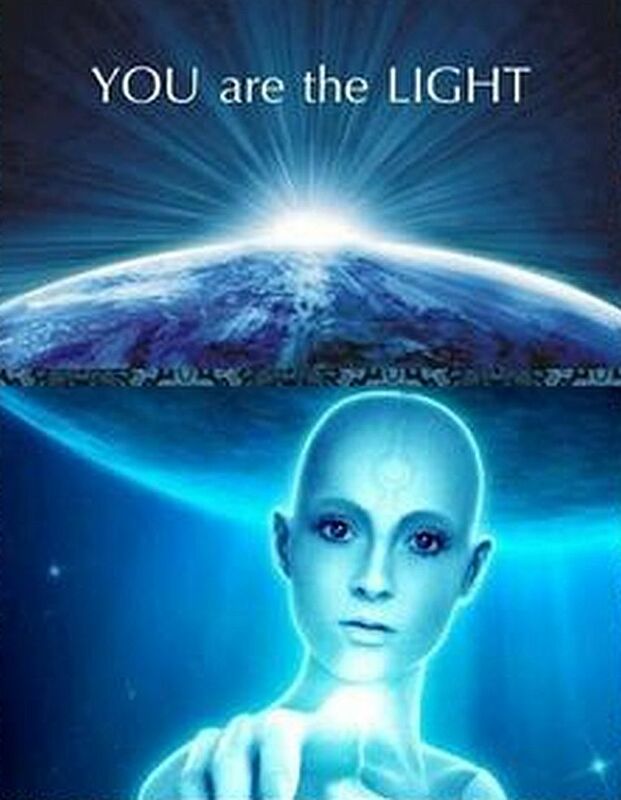 The unified Light Grid surrounding Gaia is growing stronger day by day. 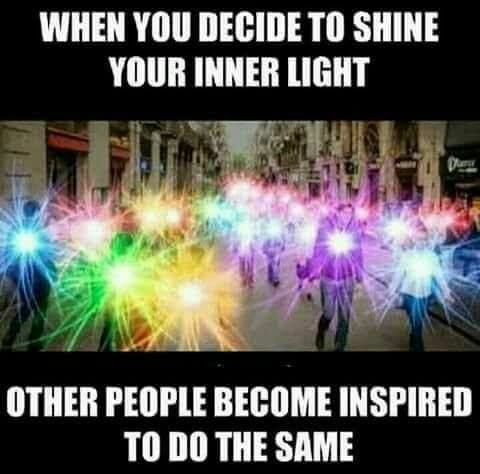 True Lightworkers are uniting now beyond seeming differences worldwide. There is now an acceptance that although we have different areas of focus each unique Lightworker plays an important role in the weaving of the Web of Light growing ever lighter. By listening to and following our Higher Self now we can all trust fate at this time to unite us with others that will benefit the whole. These important connections can be in our private lives, in our local community as well as larger endeavors/projects via the Internet. The importance of uniting for important meditations like the major one coming on August 21st 2017 cannot be overly exaggerated. Remember what happened at the time of the Etheric Liberation Meditation in February? The critical mass has been more than reached. Somewhere between 1 and 2 million people were informed about the meditation with around 150,000 to 200,000 people actually participating. There were so many people meditating that the server for one of the main websites for the meditation crashed because too many people tried to connect and join the meditation…. …. At the moment of the activation, a huge wave of positive plasma swept throughout the solar system and then through the ionosphere, causing the Schumann resonances to explode…. So now you have the bigger picture and can truly understand the importance of the meditation on August 21st. 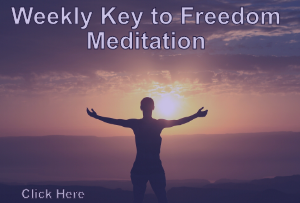 On August 21st hundreds of thousands of people will be meditating simultaneously focusing on the goal of liberation. WHATEVER YOU CAN DO to spread the information regarding this meditation is extremely important action now. Keep the word UNITY within you as a reminder at all times to stay united with your Higher Self. Archangel Michael has suggested that we ‘check in’ at least 3 times daily even if only for a few minutes. From that space of union with your Divine Authority continue to prioritize unity with every important relationship in your life. It is vital at this time that we use our energy for the most important things. We are grounding the energy of Nova Gaia and we should not allow inferior / negative ideas or people to have a say in how our energy is used. The good news is that the groundwork of creating a beautiful unified energy field/grid of Light consciousness is more or less complete now. My guides suggest that many hundreds of thousands of people worldwide have contributed in some way to this new Light Grid on Gaia. Harmonious times are approaching at the speed of Love. 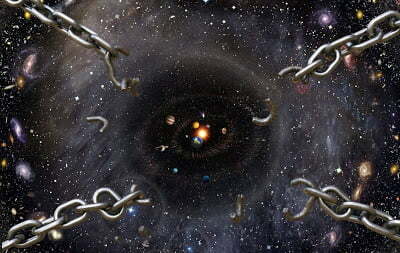 We know that the Yaldabaoth entity and the Black Stone are in a process of dissolution that is ongoing. “Clearing of the Chimera group and their exotic weapons continues and big breakthroughs have been made. We are now being advised form the highest of sources to quit worrying, relax and try to be happy and trust that there is indeed a wonderful time approaching fast and that no matter what seeming chaos there is in 3D (which barely exists any longer) this too will soon pass. Intense Energies Flooding the planet this week – Jolene Seebacher explains many factors influencing this on Ground Crew Command Radio – Tonight at 9PM EDT – and Important Unity Meditation Update!!! A BEAUTIFUL Soul named Heather Tucci is assisting GREATLY with this new alignment by exposing the massive FRAUD with the current banking system…AND…It will NOT involve “Krypto-currencies”..Which is nothing more than another form of FIAT currencies, only worse because its “Electronic”! I just wonder if all of the other excuses for the RV not being released are simply because few people know about the multi-dimensional war and all the things Cobra has been keeping us updated on. Others have heard these reports and disregarded them as being too fantastic to pay any attention to. Hi Theresa, thank you so much for this compilation of information regarding The Event. I am very grateful for the work that you do. It seems to me that Light is indeed returning from many different sources. I will bookmark this post and download the Unity Meditation. Victory of the Light!